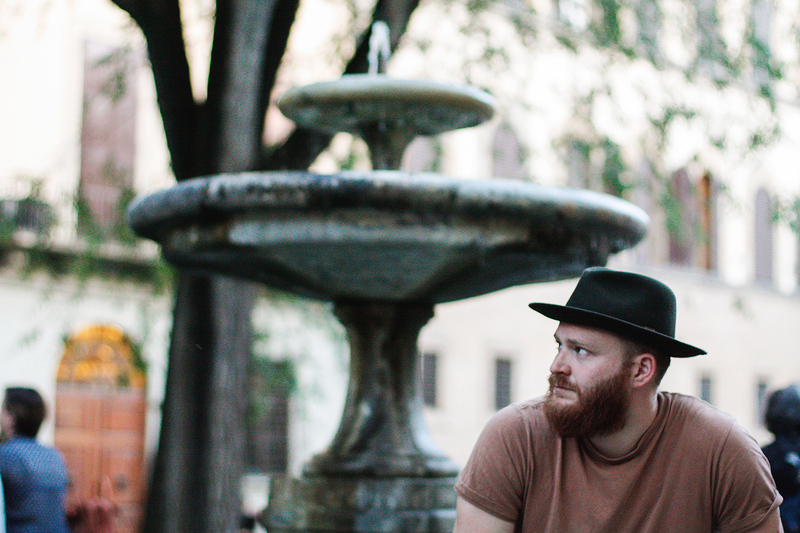 Find my Florence recommendations below. They are hardly comprehensive, but they are some of the best places that I found and loved in Florence. Mercato Centrale, Piazza del Mercato Centrale 4 — Florence’s oldest and largest food market set in a 19th-century iron-and-glass building. Wander the stalls of fresh produce before heading upstairs to the food hall for lunch. Osteria Santo Spirito, Popular with locals and tourists. Go for dinner, make a reservation, walk around the piazza, then order the bistecca fiorentina. 4 Leoni, Piazza della Passera 2/3 — Reservations are essential at this trusted Tuscan staple. Excellent for reliable meats, seafood, and bistecca alla Fiorentina. All’Antico Vinaio, Via dei Neri 65r — The line spills out on both sides of the streets but the wait for these panini are worth it. 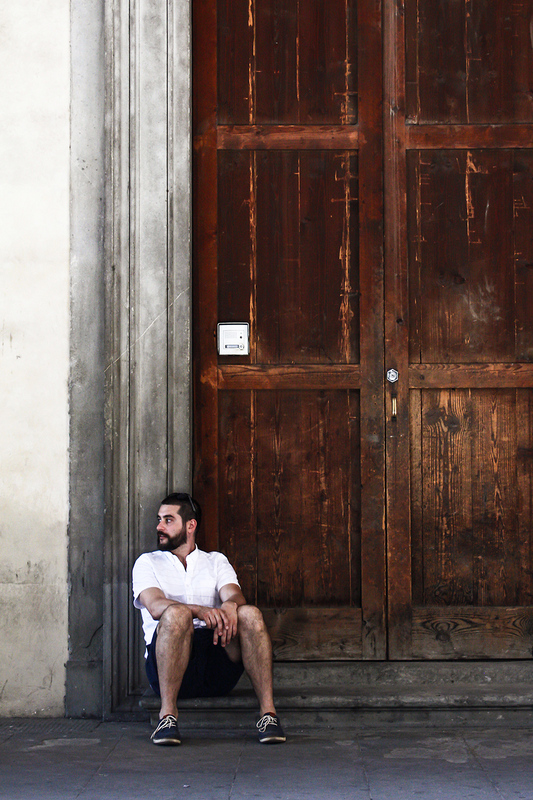 Rivalta Cafe — Grab an apertivo and a seat outside to watch the sunset over the Ponte Vecchio. Ditta Artiginale, Via dei Neri 32r — Laid-back, industrial designed coffee shop serving food and great cocktails. Bartolini, Via dei Servi 72r — Famous kitchen shop filled with wares. I found the best accommodations through AirBnb. 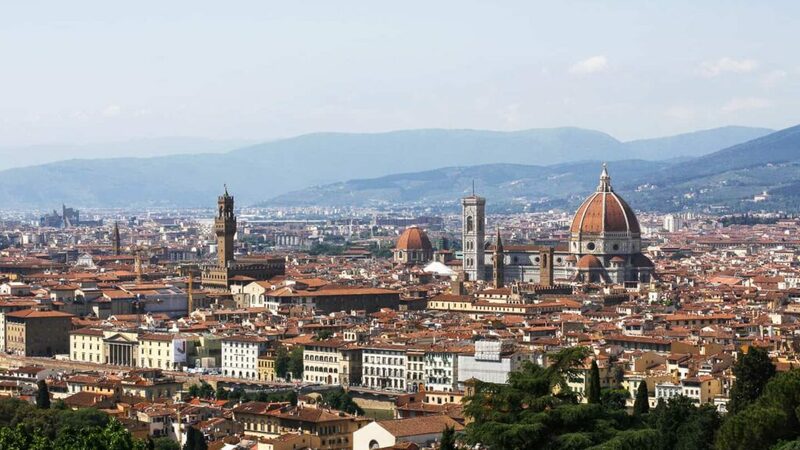 Affordable rooms with great views like the Piazza del Duomo. Duomo, Piazza del Duomo — Iconic neo-Gothic cathedral. 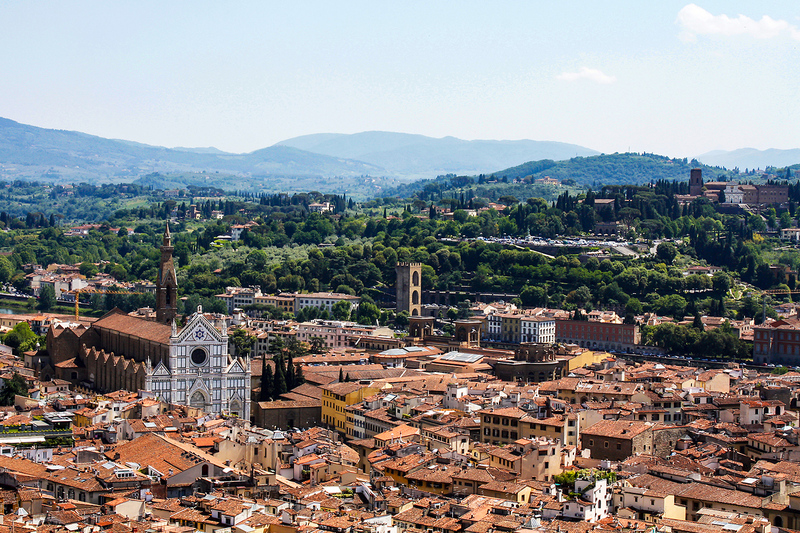 Be sure to also take the 414-step climb up the Duomo’s 85m-tall campanile. Galleria degli Uffizi, Piazzale degli Uffizi 6 — Florence’s premier gallery for Italian Renaissance art. 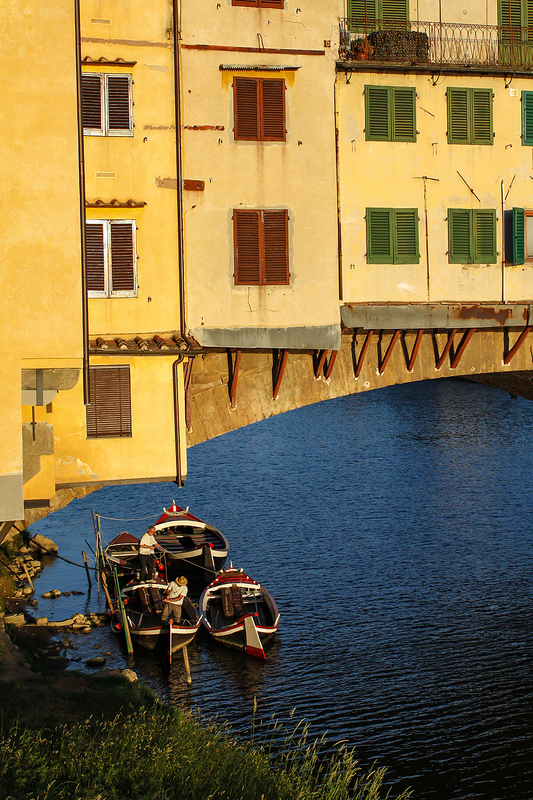 Ponte Vecchio — Iconic bridge lined with jewelers. Line up on the adjacent bridge to capture this bridge at sunset. 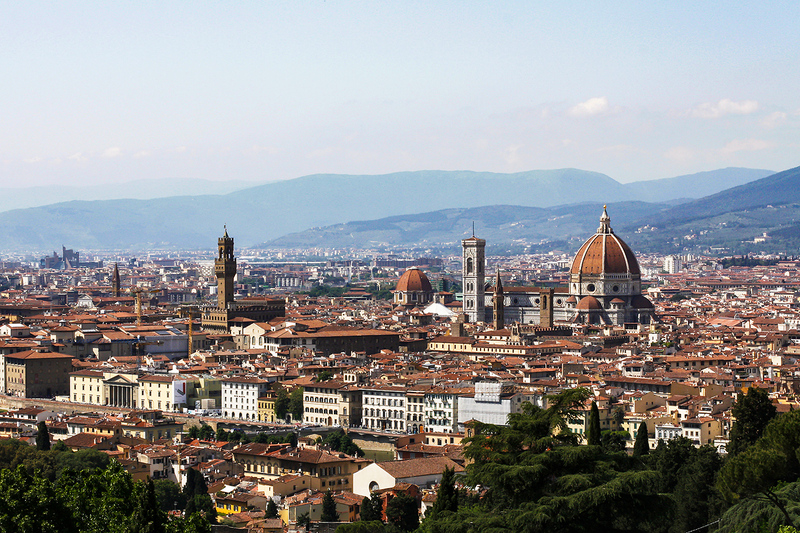 Piazzale Michelangelo — Don’t miss the 10-minute uphill walk to take in sweeping city views from this vast square. Good Day 1 activity.